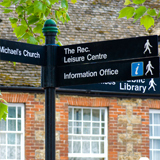 As an established community, Highworth plays host to a vast array of local clubs, organisations, businesses and services. If you have a Highworth related offering you would like us to list then simply email weblinks@highworth.co.uk and we'll place your details on the site. A website is not required to be listed. Accounting & Bookkeeping Services. Professional & Confidential. Competitive rates, Fully qualified. Daytime comprising Scotts Restaurant, a relaxing Tea Rooms and in the evening an affordable Bistro. Silks Bar in the evening. A ten week course that runs three times a year. A fun way to help your child's development. Caring staff available 24hrs a day with home visits if required, Bereavement Support Group. A Sunday morning monthly walk around Wiltshire's finest. Finishing up in a country pub for lunch. An opportunity to try, purchase and order Neal's Yard Remedies, the UK's foremost organic natural health and beauty range. Dog walking, home boarding, puppy care, pop in relief visits, equine care, pet taxi. Friendly efficient service with quality food and drinks.Under new tenancy! Based at Sandhill Farm, on the B4000 between Highworth and Shrivenham. Come and fly. If you know of a Highworth business, organisation or website that deserves to be listed here, please email weblinks@highworth.co.uk. Also, if you suspect that any of the links or entries shown here are not Highworth related please Email us to report it. If you have a Highworth-based business, service, organisation or website that you would like to promote on this page, please email us your information and we'll place your details on the site. 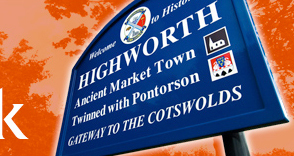 The Highworth.co.uk website is run by local volunteers. While we have taken every care to ensure the details on this site are accurate, please do not rely on them as statements of fact. This website does not endorse these businesses or services and cannot accept responsibility for errors, omissions or changes to the supplied details. As such, we recommend you check entries with the individuals and businesses involved. For further information or if you have any suggestions for new features for our site, please send us an email.